Considered a national dish in Indonesia these meat skewers are cooked over coals by street vendors. I love street foods, my local town has a farmer's market on Thursdays where you can sometimes buy foods such as ostrich burgers, currywurst or noodles. It's great. 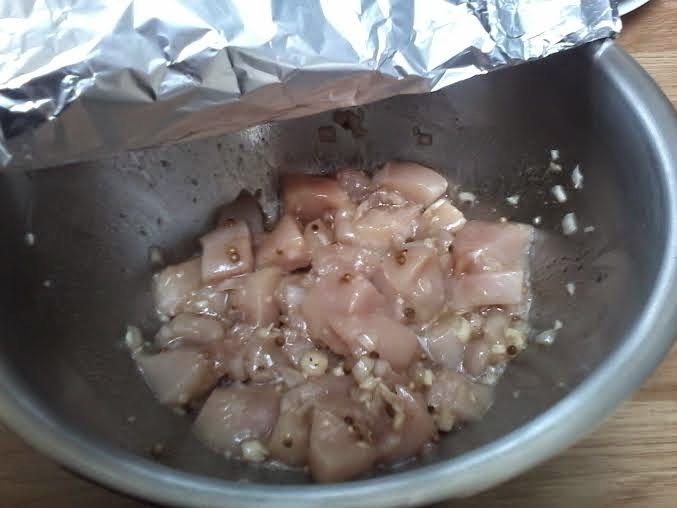 Assemble the chicken (cubed), shallots (chopped), 3 garlic cloves (chopped) coriander seeds, cumin, 1 tsp salt, 2 tablespoons of warm water and 1 1/2 tablespoons of oil in a bowl. 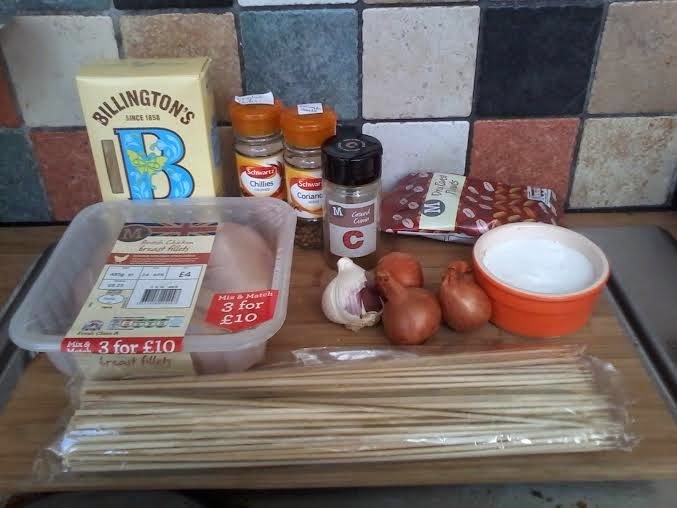 Squidge the marinade into the chicken with your hands. Cover and put into the fridge for an hour or so. 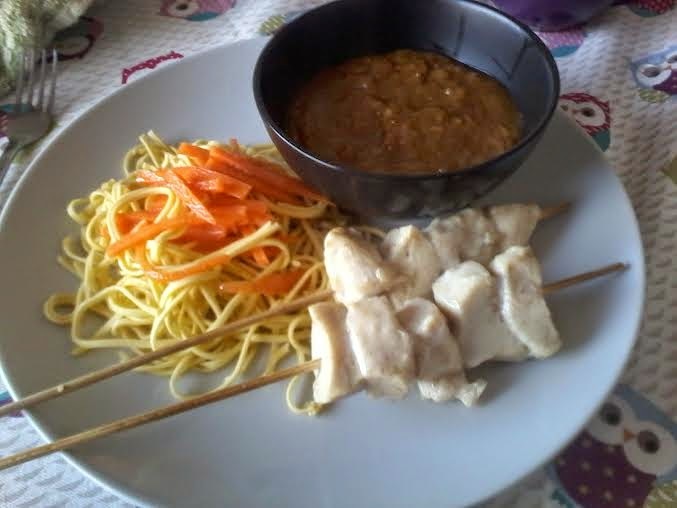 Now you can make the peanut sauce. 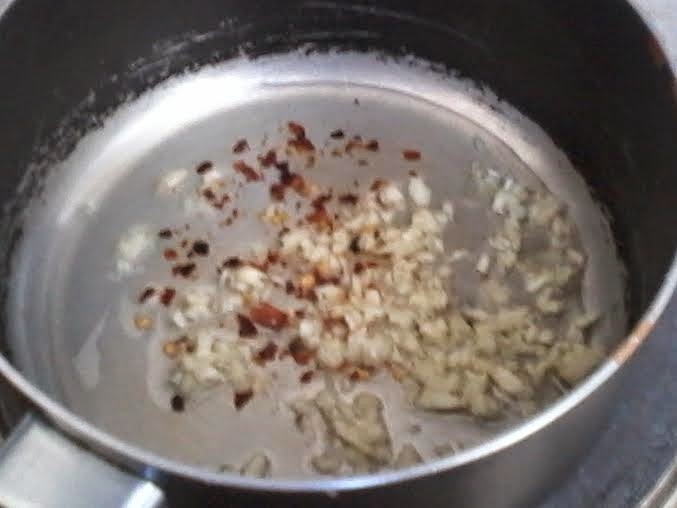 Chop up 3 more garlic cloves and saute in a bit of oil. Add the chili flakes and cook a bit more. 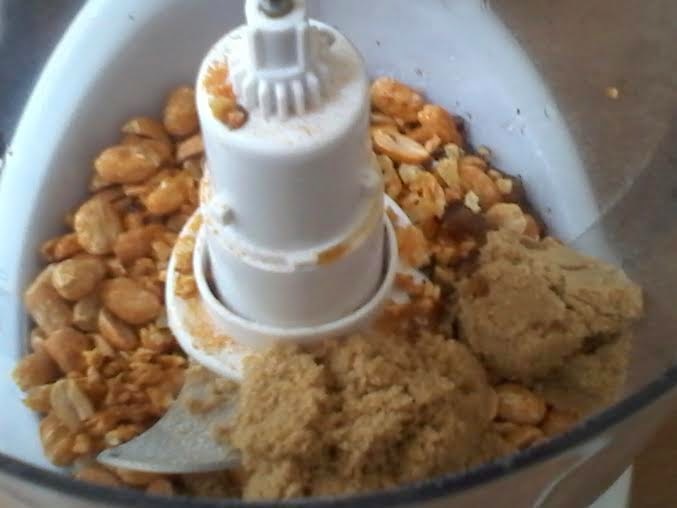 Put the peanuts, sugar, 1 teaspoon of salt, garlic and chili flakes in a food processor and chop until the peanuts are still a bit chunky but broken down too. 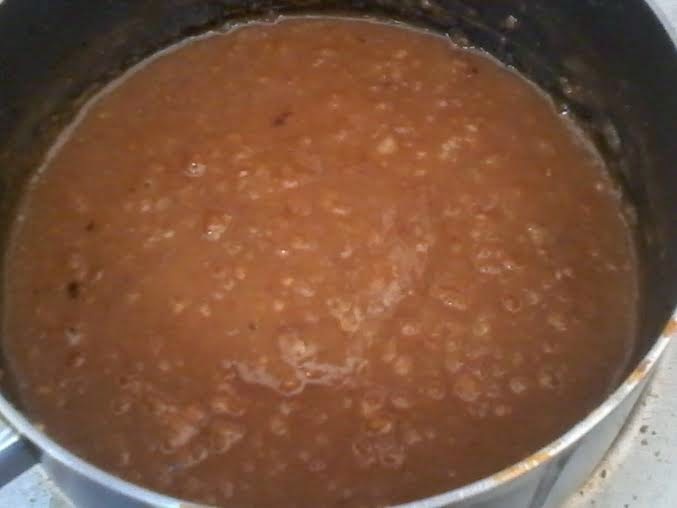 Add 250ml of hot water to make a loose paste. Return to the pan at this point and heat up until the sauce bubbles. Remove from the heat and stir well. 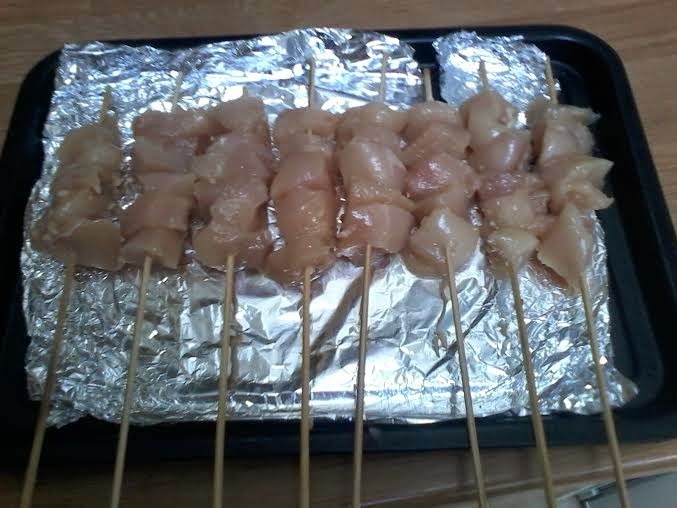 Now thread the chicken onto the skewers. I didn't know what to do about the coriander seeds stuck to the chicken. They seem too brittle and hard to leave on so I had to pick them all off, which was a hassle. Then I had to ask Leigh to come and run the tap so I could wash my hands and she had a small strop because she was watching a Youtube video about Minecraft. Grill or barbecue the chicken until done and then serve with the dipping sauce.